Hello and welcome to Gridiron Strong! My name is Ellie, I am a Graduate Sports Therapist, University lecturer, Strength and Conditioning coach and researcher. 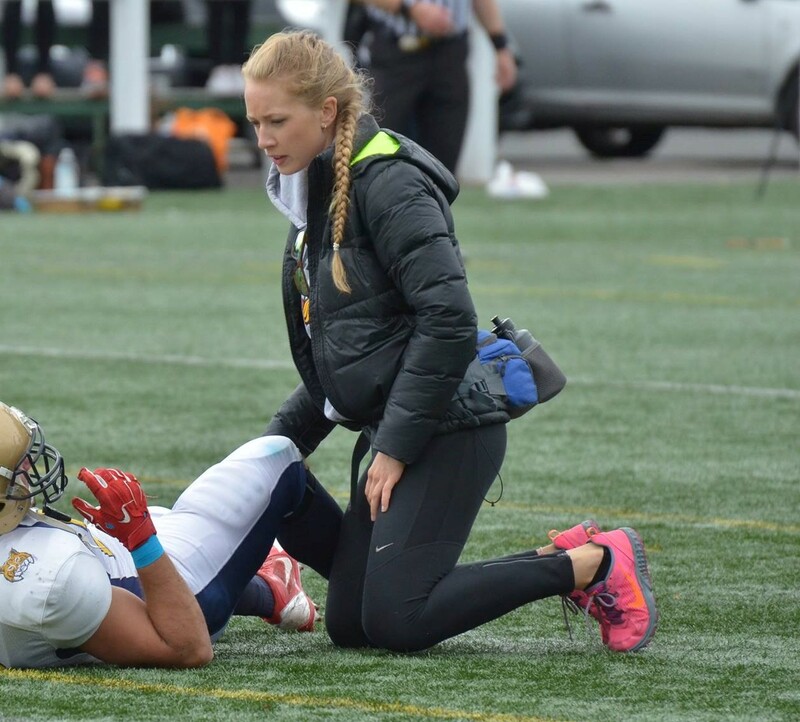 I have worked within British American Football for the past 7 years and have developed a deep interest and passion for the sport and its players. I am excited to see British American Football develop! My aim, through developing ‘Gridiron Strong’, is to educate American Footballers in acute injury care, rehabilitation and supplementary strength training to enhance individual and team performance, and reduce the risk of injury. My philosophy as a sports scientist/coach is to ensure the patient returns to a level of fitness they once held, if not better. Also ensuring the patient holds a greater knowledge of injury prevention and management themselves. Therefore this website was born! Over the course of my career I have worked with a range of sports teams and athletes. Within American Football I am currently working with NFC2 North Division Champions- the Northumberland Vikings, GB Lions Womens Flag Football team, the BUCS National Champions Durham University Saints and also the Newcastle Raiders University American Football team. I hope you find the information on this website useful to your own performance within the sport, and enjoy the training as much as I enjoy sharing it with you!